Singapore, Los Angeles, Johannesburg, London, Berlin, Moscow – building automation engineers from all over the world, use ETS as product and manufacturer independent programming tool in order to increase energy efficiency of buildings. This standardised tool is currently available in 15 languages, and supports KNX installations for all media: twisted pair, radio frequency, Ethernet/IP and power line. To meet the latest technical and economic requirements and globalisation demands, KNX Association has now completely redesigned its Engineering Tool Software (ETS) including a set of many new functions. ETS4 makes it possible to implement KNX projects in a easy and fast way. Moreover, the use of the platform-independent universal standard XML makes it possible to access all KNX project related information in text form. 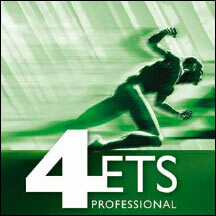 The ETS4 is available from October 2010. With the new ETS4, KNX Association has responded to new, tougher requirements in terms of handling, technical features, and economy – after all, the range of applications for which bus technology is used has recently tremendously increased. The average KNX installation has now also become quit larger. The functionality that non-residential buildings and intelligent residential buildings need to offer has also become more diverse. KNX solutions need to handle current challenges like making buildings as energy-efficient as possible. commissioning and supervising KNX systems, have increased. It was essential that the new ETS4 would offer a clearly-structured, intuitive user interface meeting these increased demands. A new design for its user interface design was simply a top priority in its further development. A market leader from this sector was consulted in order to accomplish this requirement – which indicates the importance that KNX Association attaches to its device and manufacturer independent standard tool for home and building automation. An international investigation was set up in order to optimise this new user interface, not only KNX professionals but also beginners with little or no KNX knowledge were consulted. System integrators with ETS3 expertise had the opportunity to try out the usefulness of the new features and at the same time the chance to give feedback based on their daily experience. The tests with beginners were conducted to determine how intuitive the restructured work flows really are. In workshops held around the world, both professionals and beginners tested the tool on its daily usefulness in respect to maintaining projects quickly and offering highly demanding services. The result of all of this research work is a stateof-the-art tool that meets the needs of a modern home and building control technology. The tool’s new user interface is characterised by an up-todate, highly visual design. A new feature is for example an overview page, where users can view projects and access further information such as KNX news and the current ETS4 configuration. The project administration view, which shows project data and properties, is clearer than the ones from its predecessor. The selective lists for opening databases, opening projects, importing data and viewing the most recently opened projects are together with the central toolbar, very useful features. Initially ETS users – when working on projects – might miss the ‘old’ overview, because it’s no longer divided into three parts – topology view, group address view and building view. But professionals will quickly appreciate the simplified navigation and larger overviews of the “single window interface”. This is because of integrating various system views into one, crucial information is always visible and this without the need for additional menus. In the topology overview for example, it only takes a mouse click via the line and device menu to quickly and easily reach communication objects, device details and comments. Important information can always be called via a sidebar. There is also a special Favourites window which can be personalised in order to quickly access customer-specific elements such as preconfigured devices or entire lines. Another advantage of the new ETS4 user interface is the “guided workflow” – a step by-step tutorial for creating bus configurations. Especially the topic-based Help features and the possibility to undo and repeat actions are very convenient. interfaces in order to suit them to the way they work. This is really a great help. I will be waiting for updates on this one.